After two years with the American EF Education First-Drapac team and a career-best eighth at Roubaix, Phinney renews contract. 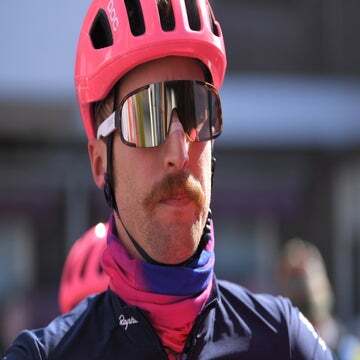 Taylor Phinney will ride on with EF Education First-Drapac next season. The 28-year-old American has extended his contract with the U.S.-based team into 2019, according to a team announcement on Monday. Phinney, a specialist in the classics and three-time national champion in the time trial, joined EF in 2017 after six seasons with BMC. He rode to eighth place at Paris-Roubaix this past spring, and he was also a part of the eight-man EF Tour de France squad. “Obviously he’s a talented bike racer with a depth of ability that’s uncommon, even at this level. We saw that at Paris-Roubaix this year. 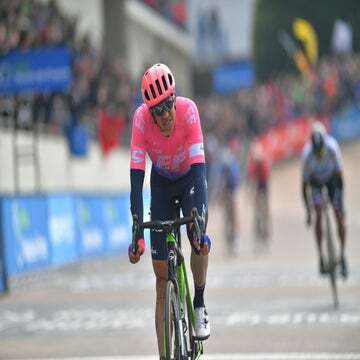 He’s clearly capable of great things, and he’s a very steady rider to have at a grand tour,” team CEO Jonathan Vaughters said. “I think as we expand our vision of what this team is moving forward he certainly fits into that really well,” he added, referring to the team’s intention to blend in non-traditional races such as gravel and mountain bike events. 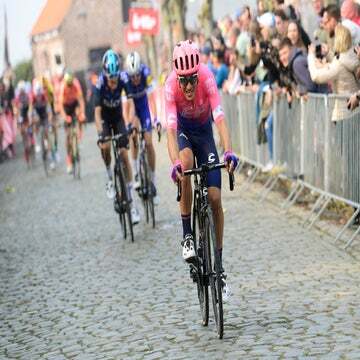 Phinney’s objectives next season will be similar to those of his 2018 program, with a focus on the classics. Fans might also see him participating in EF’s “alternative race schedule” — the team announced earlier this month that it would be sending riders to events like the Dirty Kanza 200 and the Leadville Trail 100 MTB. “There’s no other team that I could envision myself racing for in the professional peloton,” Phinney said.